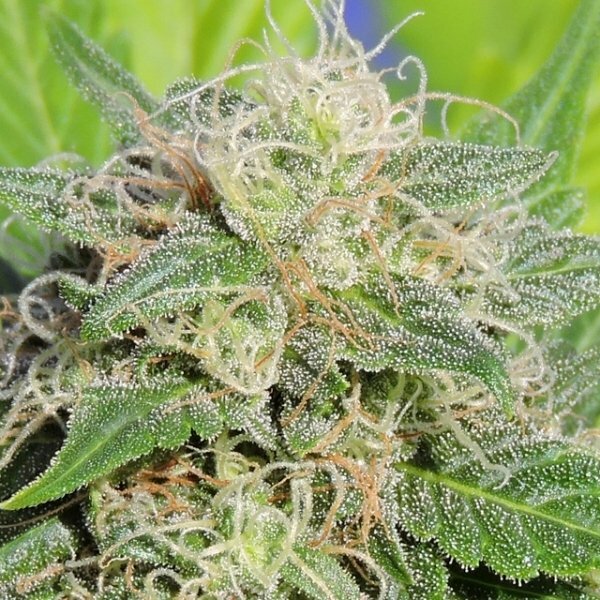 Super Auto Lemon Haze by Original Sensible Seeds was developed in collaboration with CBD Seeds. Growers will harvest delicious and potent Haze buds in just 65-75 days from seed, and can expect yields of up to 400g/m² or 50-100g per plant. This sativa-dominant autoflowering strain has a high THC content, and shows its full potential in large 15-25l pots. Effects are powerful and uplifting. Original Sensible Seeds created an autoflowering version of Lemon Haze by crossing Lemon 5 with Ruderalis. Super Auto Lemon Haze is more productive, way faster, and much easier to grow than the feminized version of Lemon Haze. It’s a strain that was developed in collaboration with CBD Seeds, focusing mainly on high THC levels, maximum Sativa potency, and a short life cycle. Super Auto Lemon Haze completes its life cycle in 65-75 days from germination, and produces indoor yields of up to 400g/m² or 50-100g per plant. Heaviest yields can be achieved when seeds are directly planted into large pots, with sizes ranging from 15-25l. Most phenotypes reach compact to medium sizes, and usually won’t exceed heights of 60-120cm, indoors and outdoors. Haze strains can be quite challenging for novices due to heavy stretching, long flowering times, and a rather demanding character. Super Auto Lemon Haze is completely different, and could be a good choice for growers with little or no experience. Mouthwatering flavours of lemon and citrus give this strain a remarkably fresh taste that many smokers have already experienced when smoking Lemon Haze. The potency is incredible, and will induce feelings of uplifting happiness, together with long-lasting cerebral effects of the strongest kind. Super Auto Lemon Haze is clearly a strain that convinces on many levels, but flavours and effects really stand out from the crowd. Super Auto Lemon Haze offers a relatively fast and easy way to produce cannabis of expert quality. Smokers who like the long-lasting cerebral effects of Lemon Haze won’t be disappointed, and can consider this strain a shortcut to get what they desire. Bough these ones some months ago, I've received 3+1 seeds. Due to space limitation I only grew 2 of them. And let me tell you boy, they're pretty good, much better than expected. One of them was around 85 cm at the time of harvest, with a ton of buds of good quality. The second one was only 65 cm in height, but with awesome sticky and stinky buds (I knew there was skunk in its genetics), You could literally see crystals everywhere and it's the only one I'm smoking right now (I love haze strains by the way). They're also easy to grow and mold resistant. IMO awesome strain. The high is really cool, I'd say creative, happy and energetic. You're gonna smile a lot, but don't forget something for your dry mouth, and remember... open your eyes!!! !